Is your iPad running low in space? Increase your tablet’s memory capacity with these simple tips and tricks on how to save storage space on iPad. iPad’s storage capacity is fixed and is currently available in 16GB, 32GB, 64BG, 128GB, thus, you can only consume that much space for your tablet’s contents such as video, photos, music, apps and more. Though it may seem that it will take you forever to use up all that memory space, eventually you will encounter a “not enough available storage” warning and this ironically happens when you least expect it the most. Hence, to prevent this annoying situation, it is advisable that you manage the storage of your iPad on a regular basis with these easy and quick suggestions on how to save storage space on iPad. 1. First step on how to save storage on iPad is familiarizing yourself as to which app or content is eating up precious space on your iPad. 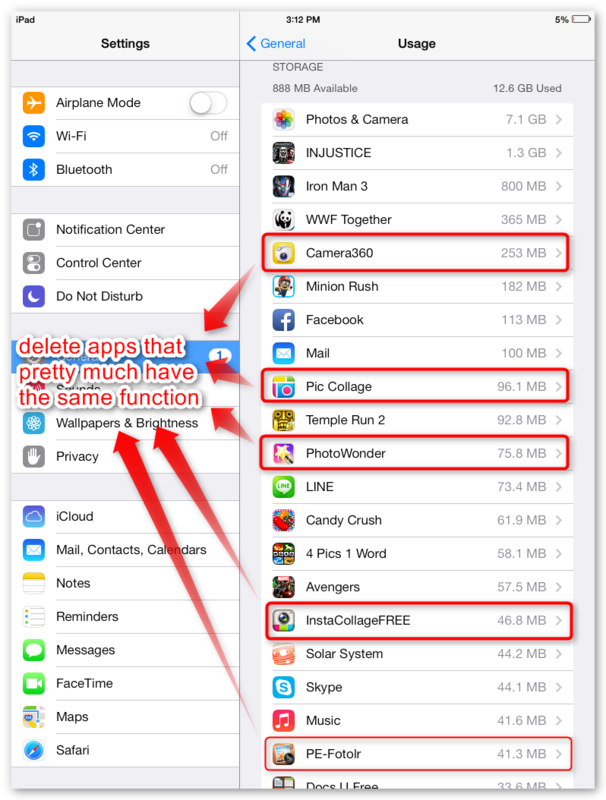 This will greatly help you decide on what app to delete. Say for instance you have several camera apps installed, start evaluating the pros and cons of each then just pick one or two of the best camera app and proceed to removing the unwanted apps. The same thing goes for those games that you have already completed, just let it go as there is no need for it to linger on your device. 2. Next stop is the photos and videos section. Back-up your photos and videos regularly to your computer so you can delete it without regret. This action will not only help you manage the storage space of your iPad but will also be greatly beneficial in the future in case something nasty happens to your device. There are several ways on how you can transfer photos and videos from your iPad to your computer but the best method is to use a professional transfer software such as AVGO Free iPad To Computer Transfer program. It is an easy to use freeware that lets you transfer contents such as photos, videos, music, audiobooks, ringtones and more from your iPad to your computer in a fast and effective way. Get Free iPad To Computer Transfer below! 3. Another iPad content that might be taking up storage is your Music files. Just like what you did with photos and videos, you may back-up your music collection to your computer with AVGO Free iPad To Computer Transfer program then selectively remove those tunes that you don’t listen to that much. Additionally, you may just install a radio app on your iPad so that you can listen to random songs of your preferred artist and genre so you don’t have to pile up your music playlist. 4. Clearing browser cookies and data is not only applicable to your computer. This is a must do on your iPad’s Safari browser or any other browser app you might have installed. While you are cleaning your browser’s cache, don’t forget to tidy up your offline reading list as well. As mentioned above, the memory capacity of iPad is fixed and non-expandable but there is a nifty work around to this thanks to i-FlashDrive HD. 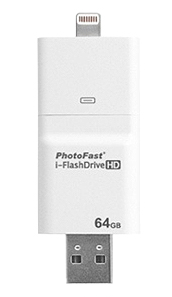 This two in one (two-way storage for iOS and MAC/PC) external storage device from PhotoFast can act as the extended memory of your iPad (via USB connection). You may conveniently store photos, videos, music and more to this awesome mass storage enabling you to save tons of space on your iPad. In addition to that, you can also play music and videos directly from the i-FlashDrive.